Monday to Friday 9:30 a.m. - 13:30 p.m. / 16:00 p.m. - 20:00 p.m.
ELECTRIC BICYCLES FOR RENT IN EL CAMINO DE SANTIAGO or anywhere in Spain or Portugal. Our electric bikes allow you to perform any cycle route comfortably and safely. They have a range of up to 100 km thanks to its high capacity battery. 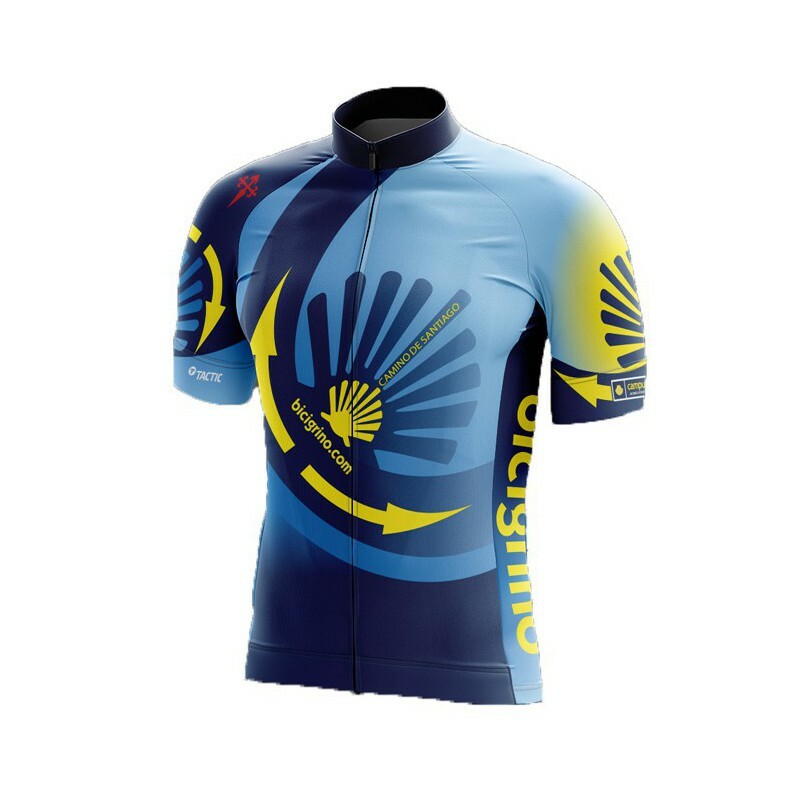 You will have the services and attention of the already established network of local bicigrino. Por favor, es indispensable que consultes la disponibilidad antes de procesar el alquiler de la bicicleta. Only transport the French town of Saint Jean Pied de Port. * This service is an additional cost for this holiday 10 euros. PRESSING BUTTON to acquire that extra service. * Report on the calendar the day start counting the rent. * Select the days you want to rent a bike. 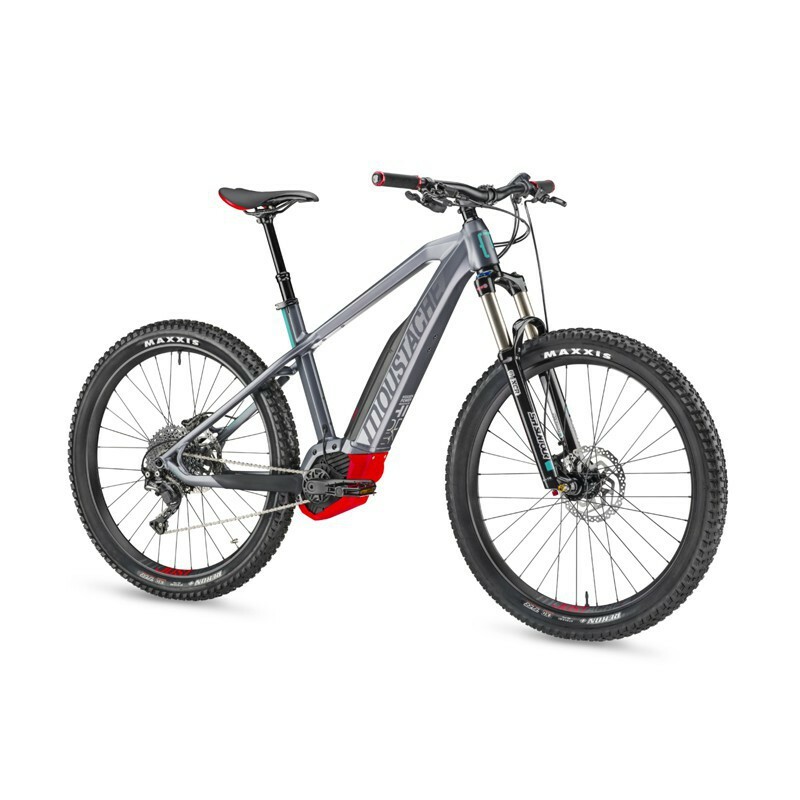 CALCULATED PRICE SELECTED Rental for bike and add to cart. Repeat entire process with selection of size, date and day rental to add more bikes to cart. 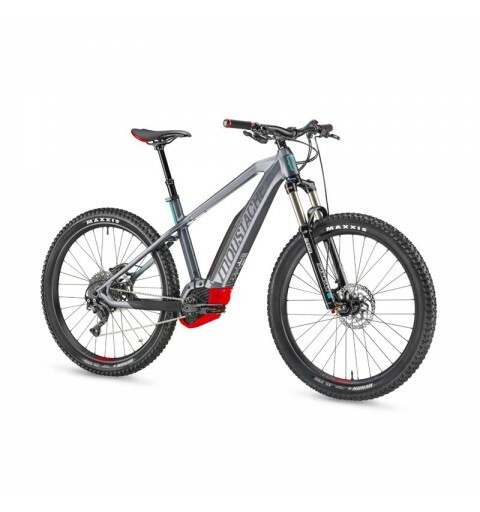 If you wish to add to your rental the purchase of one of our HEBO BICI CRANK 1.0 helmets you can do so by selecting it below. If you wish you can also find all the information in this following link. The price of the helmets shown below are VAT FREE. The final price is € 59.95. 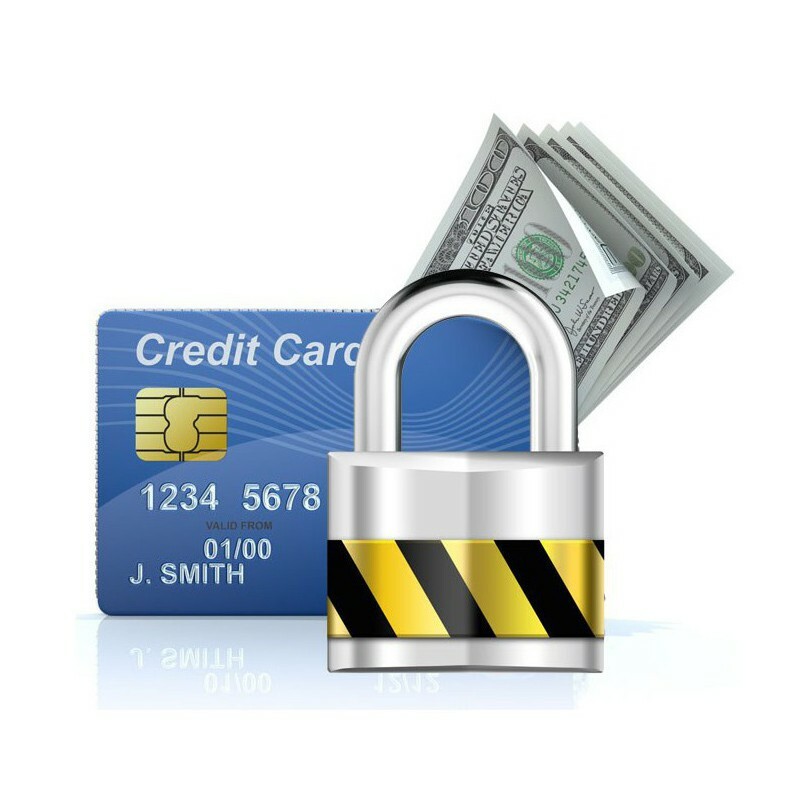 ** For this service we need to process the request is made at least 2 week in advance. 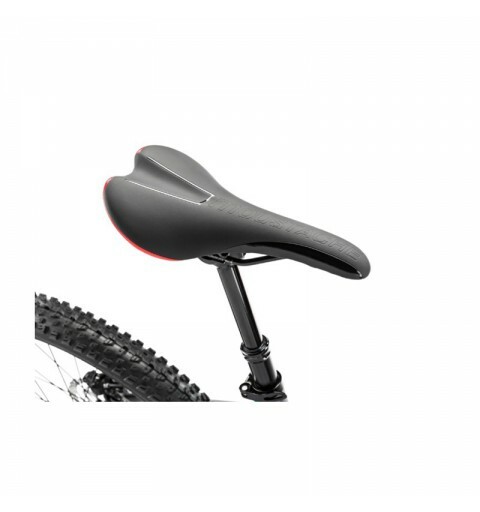 Highly reliable and tailored for use in cycling on the road or other route that comes to mind. We think that those renting these bikes should do so with the intention of sightseeing and enjoy the ride without the extra effort. We recall that this type of car in the office Pilgrim we can not obtain or diploma Compostela Camino de Santiago. Our offer is designed to serve those who want to travel the road to Santiago or other tourist route version .. This bike has been chosen and meticulously prepared to adapt fully to the cycling stage and about 70 kms. You can maintain average speeds of 20 km / h without any problems. This bike lets you explore any stage of the Camino de Santiago independently and enjoying every moment of the tour. 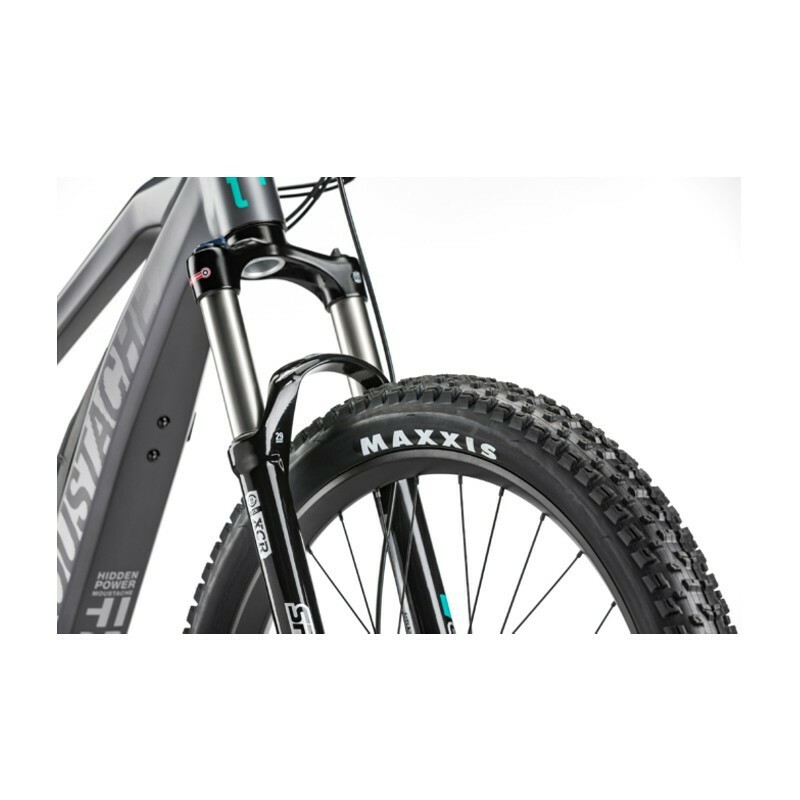 In bicigrino we are official distributors "MOUSTACHE" and this year 2018 we offer proven MTB bikes on the road and confidence in effectiveness. ** IMPORTANT NOTICE: In our fleet of electric bicycles we also have models of bikes MOUSTACHE OFF5. 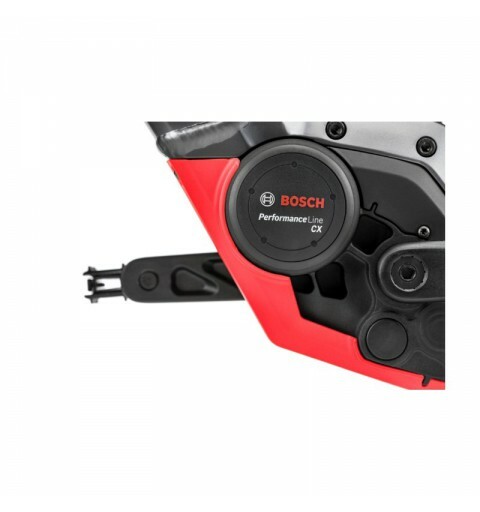 This type of bikes are exactly the same as those offered (engine Bosch perfomance CX, battery 500W) and the only difference to those offered is that they have normal tires and not exactly the 27.5 plus that mount the OFF4. Given the high demand of our electric bicycles, it would be possible for us to assign an OFF5 bicycle to your reservation. If you want more information about this bike you can see it exactly on this link. 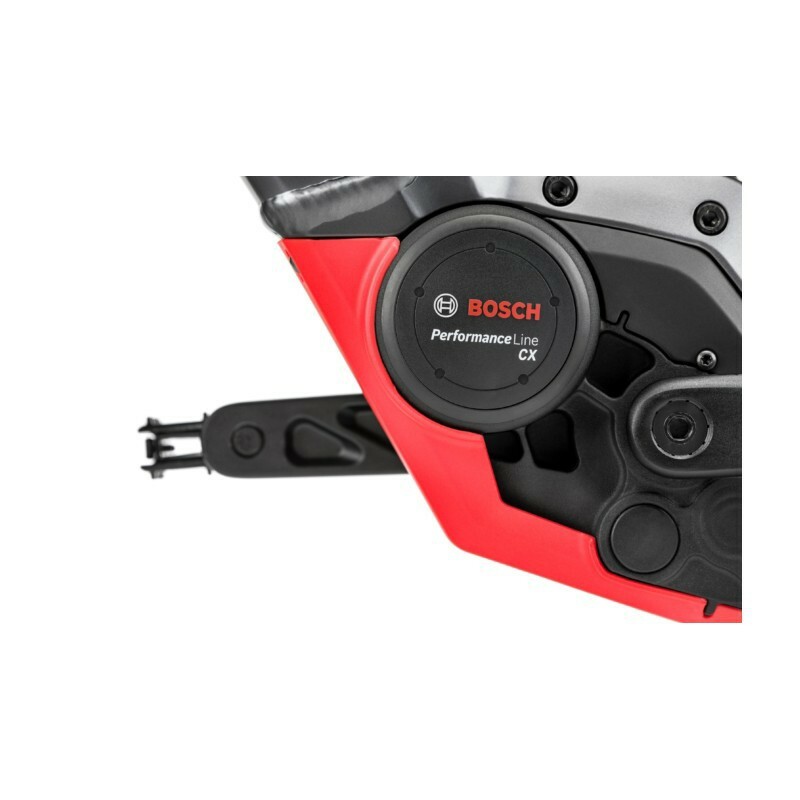 Our bikes are high end and are equipped with the latest engine BOSCH. 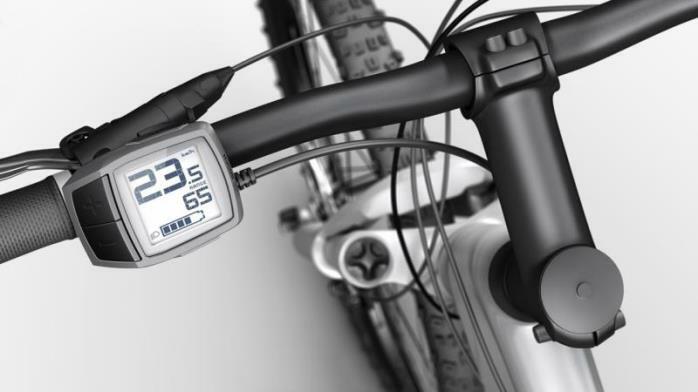 They use a display that facilitates the electronic management of cycling with different use options according to user requirement: Off (to move without assistance), ECO (Economic Management) TOUR (average grant), SPORT (sports use) TURBO (high assistance). 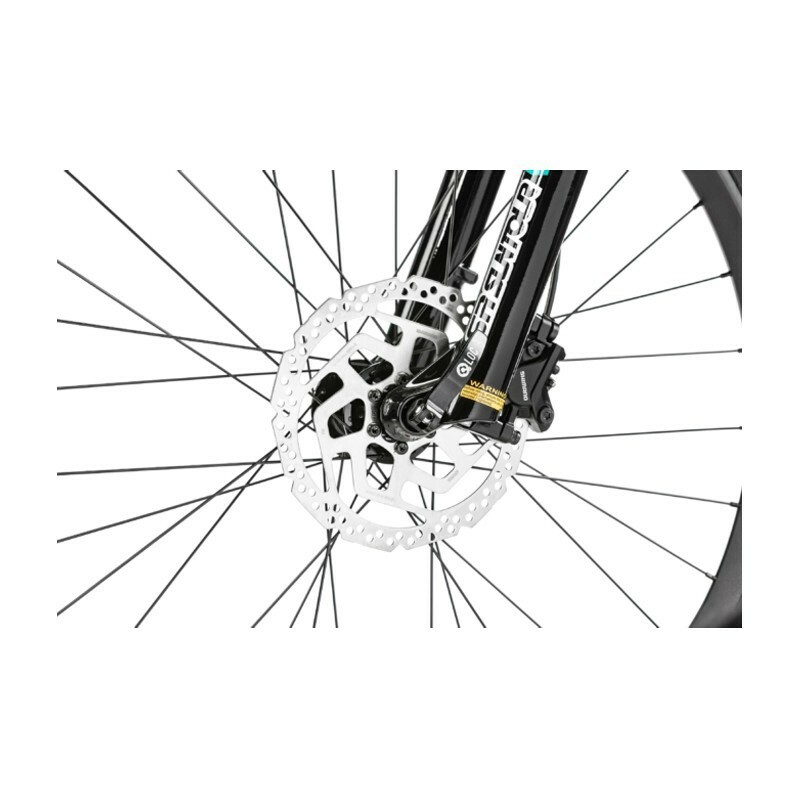 Are bikes and MTB SHIMANO changes similar to their counterparts carácteristicas unassisted but with the advantage that will help you on the most critical and difficult areas. Into your hands will be the power to order more or less help .. 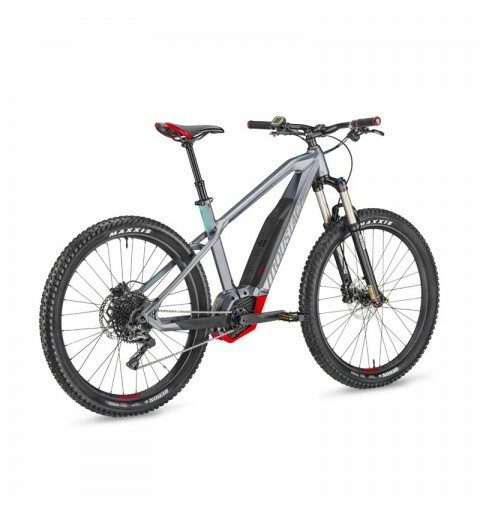 The position of the battery, with a shorter wheelbase and more balanced weight distribution make it an ideal choice for all types of terrain bike is also equipped with some distinct elements, making it a great alternative for any sort of route. The rental price is including shipping to anywhere you propose to begin the journey and also pick up anywhere in the Spanish geography you decide to finish the route. Racks preinstalled as models and convenience. Tyres specially chosen for optimal use in road travel ..
Speedo integrated management system of cycling electronica. Pair of panniers ORTLIEB BACK ROLLER CITY recommended on the website of bicigrino, waterproof, with fastening system for easy on and click Remove. Lock to keep the bike safe. Toolkit with cameras, patches, pump and multi-tool (with chain tool) to solve any eventuality in route. We have evaluated several times the possibility of putting a helmet on the equipment of our rental service and we have ruled it out for important reasons. We think that for reasons of hygiene it is not recommended that helmets go from one client to another during the season of bicycle rental. That is why we have looked for the best quality / price ratio in the market and we have specially selected for bicycle touring and to accompany our bicycles the model HEBO BICI CRANK 1.0. Something that worries us a lot apart from hygiene is also that in order for the helmet to be effective it must be of the appropriate size to the user's head, be well adjusted and not be fired in the event of an accident. For that reason we have also selected this helmet because it has a great fastening system that with two variants in size (please look at the table of measurements before requesting your helmet) pick up the head with precise and easy adjustments. So our advice is mainly that if you can bring your own house helmet when you rent one of our bikes. And if on the contrary you want to take advantage of the one we offer to launch it on the road to Santiago and take it to the end of the route. You will be able to take advantage of the occasion to make you very good material at a very good price. We try to make Bicigrino's bicycle rental service as homogenous and easy as possible. For this reason, we try to ensure that all the necessary material for cycle tourism is included in the basic pack. The helmet we have left out for the reasons that we explain. The bottle of water for the same reasons is new in each service and we give it as a souvenir of your trip (you can take it at the end of the service). IF YOU WANT TO BUY ONE OF OUR HELMETS OR MORE INFORMATION, "CLICK" HERE. - By purchasing this product in any PACKS and the price indicated in the offer you are paid only rental service. 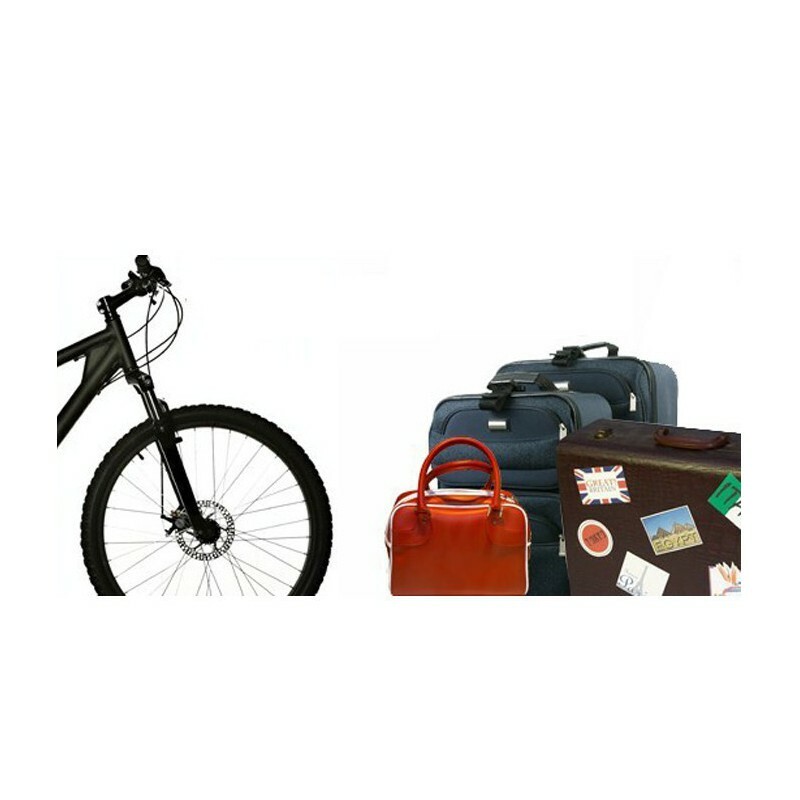 - The rental price is included the cost of transport to the starting point and the return path of the bicycle from Santiago or anywhere up to our base. 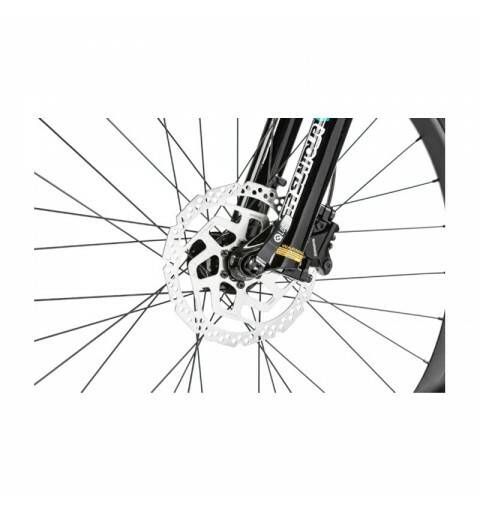 - To realize this rental bicycle model in particular, the payment of necessary BOND 200 euros (by bicycle) (* caution grup A *) you can purchase through the online store of bicigrino in "Bicycle Rental" section separately paying the rent. This BAIL as described will be refunded upon receipt of the bikes and checked the proper use and conditions thereof. Without the necessary and mandatory payment of this deposit any order requesting one or more rental bikes are not considered valid. - The bikes are new or nearly new and will be delivered in perfect magazine, which will be the responsibility of the users basic care and maintenance to ensure good use of them. We will take care of repairs enroute attributable to mechanical defects, but users will be responsible for the damage and damage attributable to misuse or improper bicycle. - The rental service caters to a very personal and detailed way. Even podiendo make direct bookings through this website, we recommend to contact me with any questions (Sánchez) through this e-mail: [email protected] or if you prefer by phone at +34 92 627 82 13. For organization and coordination of the rent is preferred and more practical to make prior contact with the media. 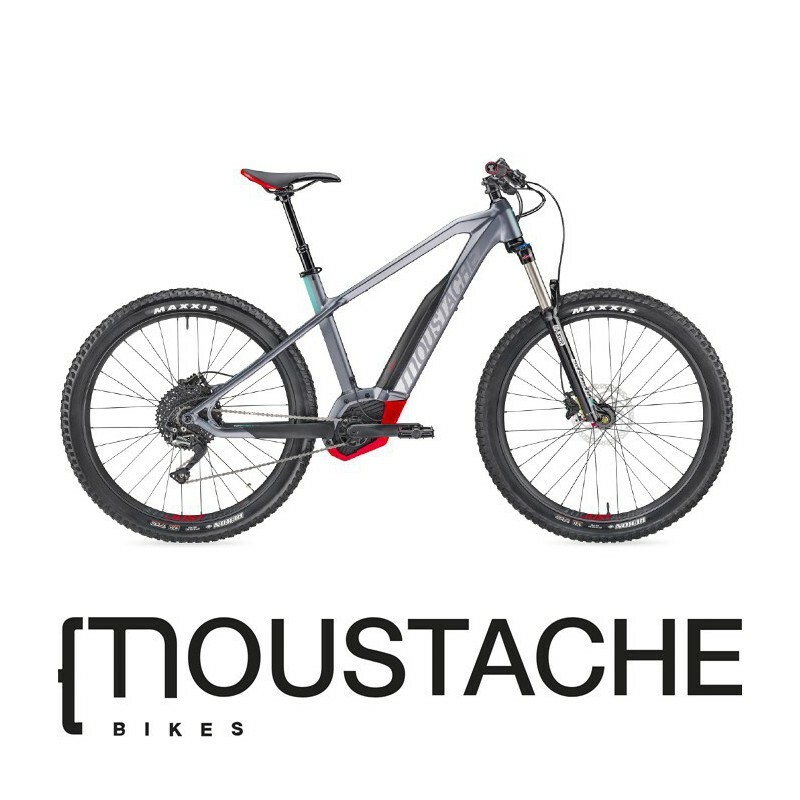 ** IMPORTANT NOTICE: In our fleet of electric bicycles we also have models of bikes MOUSTACHE OFF5. This type of bikes are exactly the same as those offered (engine Bosch perfomance CX, battery 500W) and the only difference to those offered is that they have normal tires and not exactly the 27.5 plus that mount the OFF6. Given the high demand of our electric bicycles, it would be possible for us to assign an OFF5 bicycle to your reservation. If you want more information about this bike you can see it exactly on this link. Compulsory deposit needed to hire the bike rental service.